Thank You for Joining Log Cabin Hub! Congratulations, you have now subscribed to the Log Cabin Hub. Each week we will now send you our newsletter containing the very best from our blog. The weekly newsletter will share our editor’s favourite posts, comments and pictures of the week. Congratulations, each week we will now send you our newsletter containing the very best from our blog. If you don’t receive the newsletter please check you spam folder, if you still can’t find us, use the contact us page and we will help to fix it. How do you get access to your free two chapters of the book? I’m really excited that you want to read the guide. My team and I have been working for the past several months to bring this guide together for you. We’ve researched, spoken with other log home owners, and experimented to help bring together the very best information for you. 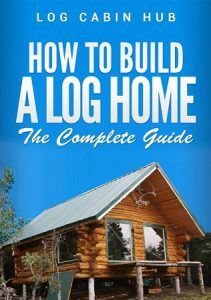 You can download your two free chapters of my best selling book “How To Build Your Own Log Home” here.